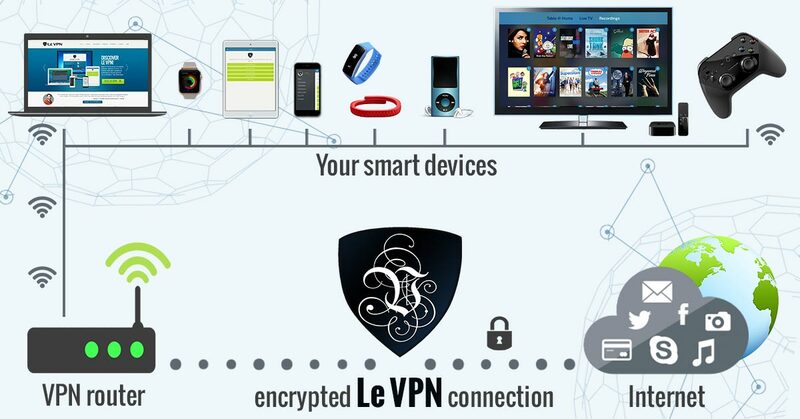 Le VPN ensures IoT security of devices vulnerable to hacking. These days computing devices and equipment can talk to each other, thanks to the internet. This is known as Internet of things or IoT. The main purpose of this is to make life easier and to provide better service. For example, in the medical sector internet of things helps in providing better healthcare services to patients. But the biggest problem with IoT is that these devices are vulnerable to cyber-attacks. This puts cyber security at risk. The US senators have decided to introduce a bill for better security of IoT. According to this bill, the vendors who provide these type of devices to the US government need to ensure better security. The devices that they provide must adhere to industry security standards. Vendors cannot provide devices which are vulnerable. For example, they cannot supply a device which has unchangeable password. In addition, this bill will compel manufacturers to manufacture devices with the best security standards. The government also aims to point out the flaws in the current devices. This will help the manufacturers overcome the problems and give a more secure devices. In the coming few years, US expects millions of devices to be connected to the internet. A large percentage would be susceptible to hacker attacks. Therefore, the government wants to take better security measures which will protect the network of the Federal Government. Virtual private networks are the easiest ways to get better security for your devices. The VPN prevents sensitive information from falling into the hands of hackers. At the same time, Le VPN ensures better security. This is one of the best ways to protect your online privacy. Only one word of caution! If you want to get assured results, then you must avoid the free service providers. You must go in for service providers like Le VPN. Le VPN has budget friendly packages. With Le VPN, your internet connection comes encrypted with a top-secret level cipher. As a result, your IoT devices are safe from hackers who try to get sensitive information. Le VPN helps to overcome problems of geo-restrictions, government censorship, and blocked websites, etc. You can easily unblock any website. They ensure better security and privacy of the internet user. You can browse anonymously even when you are using a public WiFi. The use of Le VPN does not affect the speed of your internet. Le VPN has good quality servers in a number of countries. They provide the best services across the globe. Measures are being taken by different countries to enhance the global cyber security. However, the internet users need to take extra precautions at an individual level. One can use Le VPN and ensure online security with security of IoT.